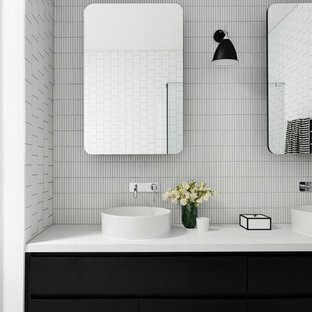 Bathroom walls are clad with white square tiles corresponding with the original 1980’s style we’ve found in the flat and complimented with large scale terrazzo floor tiles that proved to be just perfect for this setting. This bathroom renovation is located in Clearlake Texas. My client wanted a spa like bath with unique details. We built a fire place in the corner of the bathroom, tiled it with a random travertine mosaic and installed a electric fire place. 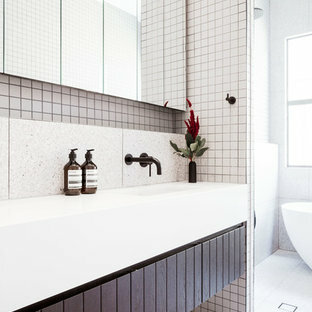 feature wall with a free standing tub. 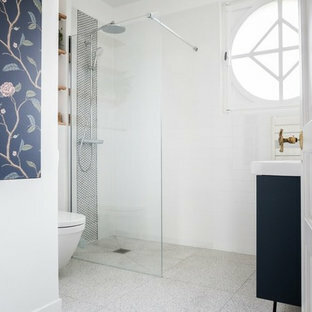 Walk in shower with several showering functions. Built in master closet with lots of storage feature. Custom pebble tile walkway from tub to shower for a no slip walking path. Master bath- size and space, not necessarily the colors” Electric fireplace next to the free standing tub in master bathroom. 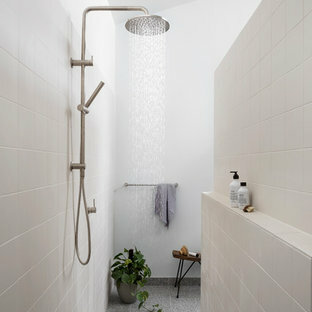 The curbless shower is flush with the floor. We designed a large walk in closet with lots of storage space and drawers with a travertine closet floor. 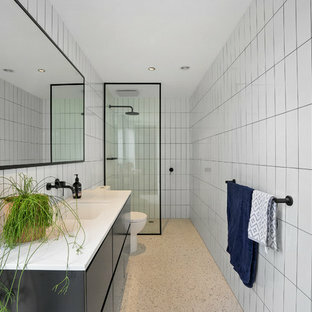 Interior Design, Sweetalke Interior Design, “around the bath n similar color on wall but different texture” Grass cloth in bathroom. 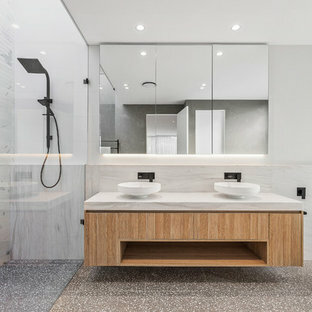 Floating shelves stained in bathroom. 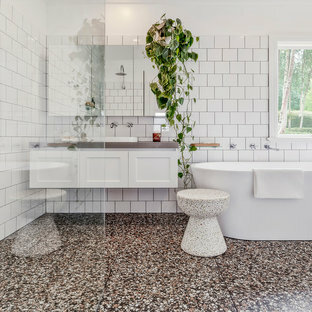 “Rough layout for master bath” “master bath (spa concept)” “Dream bath...Spa Feeling...bath 7...step to bath...bath idea...Master bath...Stone bath...spa bath ...Beautiful bath. 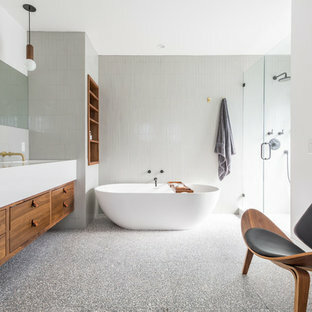 Amazing bath.